Brunnthal/Munich, Germany, October 17, 2018 – PBF Group B.V., Dutch subsidiary of SFC Energy AG (F3C:DE, ISIN: DE0007568578), a leading provider of hybrid power solutions to the stationary and mobile power generation markets, announces the receipt of a series order from their partner Schulz-Electronic GmbH, Baden-Baden, Germany: An international laser tool producer has ordered fully integrated LASY laser power supply systems for the direct operation of diode pumped fiber lasers used in material processing. The first series order amount is in the middle six-digit EUR range. Following system introduction in 2020, PBF expects annual revenues of EUR 2 to 3 million for the subsequent period. Laser diodes require very stable, precise, often highly dynamic power supplies. PBF’s powerful power supplies feature an extremely high energy density solution for the highly sensitive laser diode loads. Dynamic load adjustment between grid connection and laser unit ensures optimum efficiency with the dynamic, fast pulsability required in laser systems. The power supplies also significantly increase total system performance and lifetime, enabling new and optimized applications. The series order is the result of the success of PBF’s prototype power supplies in the customer’s laser systems. PBF developed the LASY laser power supply system on the basis of their successful standard and semi-standardized PBF High Power Standard Platform. The fully integrated plug & play solution combines a high performance PBF power supply with multiple pulsable current drivers, and eliminates the need for external modules the customer had to purchase separately in the past. 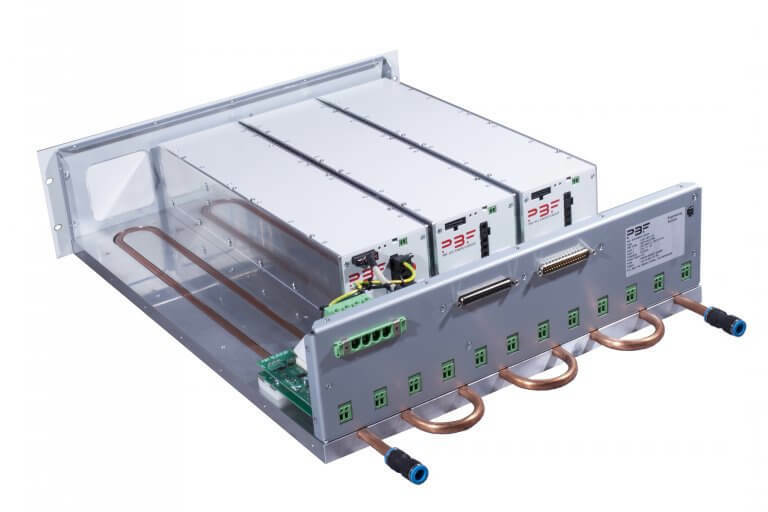 Load current supply can be configured and scaled on demand, featuring attractive new options plus decisive cost, quality and service advantages. Additional information on SFC Energy, PBF, and SFC Group’s portfolio of power electronics and power generation products at www.sfc.com and www.pbfgroup.nl. Additional information on Schulz-Electronic at www.schulz-electronic.de. PBF Group B.V., a company of SFC Energy Group, specializes in power supply solutions and special coils. The Company is active worldwide. PBF develops, manufactures, and markets highly reliable standard and semi-standard platform solutions for demanding requirements in laser and semi-conductor manufacturing equipment, analytical applications, and high-tech industrial systems. Schulz-Electronic GmbH, in Baden-Baden since 1975, is leading provider of professional power supplies in Germany, Austria and Switzerland, offering AC/DC and DC/DC converters, electronic loads, high voltage systems, AC sources, inverters, laser diode drivers and pulse generators. Schulz-Electronic is distribution partner of renowned producers all over the world and authorized German service provider and quasi manufacturer for many products. The Company offers customized energy conversion solutions based on standard, modified and proprietary technologies.